In 1939, Joe Albertson, a former Safeway district manager, took $5,000 he saved and $7,500 he borrowed from his wife’s Aunt Bertie, and partnered with L.S. Skaggs to open his first Albertsons store on 16th and State Streets in Boise, Idaho. Joe knew the keys of running a really great store, and it was all about working hard for the customers: give them the products they want, at a fair price, with lots of tender, loving care. Joe was innovative, too. He had one of the first in-store magazine racks in the country along with a scratch bakery and fresh ice cream made in store. He worked hard, seven days a week on his vision to build his company, and through his inspiring work ethic and tireless determination to run the best store, the first store thrived. Just two years later, he had opened two other stores in neighboring communities, and grew the fledgling company’s sales to over $1 million by the end of 1941. 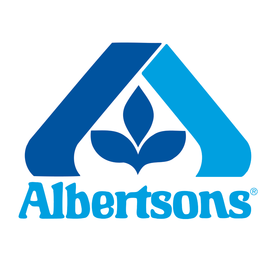 Today, Albertsons operates as a banner of Albertsons Companies, one of the largest food and drug retailers in the United States. With both a strong local presence and national scale, the company operates stores across 35 states and the District of Columbia under 19 well-known banners. Albertsons Companies is dedicated to helping people across the country live better lives. In 2015 alone, with the help of generous customers, Albertsons Companies and the Albertsons Companies Foundation gave more than $270 million in food and financial support to the more than 2,300 communities they serve.